Cast off your preconceived notions and discover a China you never knew existed! 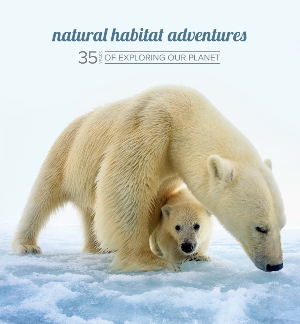 Join Expedition Leader Brad Josephs, Nat Hab’s premier bear naturalist, on a virtual journey into our new itinerary. Sri Lanka is a small island nation off the southern tip of India, surrounded by turquoise seas. Till now, it's been largely undiscovered by nature travelers. But we're changing that! If you haven't thought about China as a location for nature travelers, join us for a webinar that will make you think again! Expedition Leader Court Whelan leads us on a virtual journey to China's wild side. Explore mountain heights and jungle lowlands on a soulful journey through the natural and cultural treasures of two ancient Himalayan kingdoms.